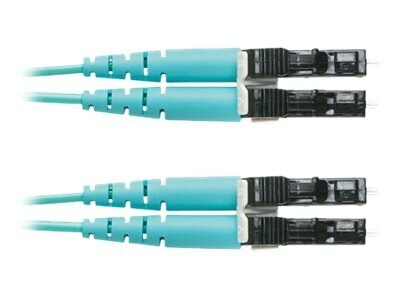 Fiber optic patch cords and pigtails provide interconnect and cross-connect of applications over installations in entrance facilities, telecommunications rooms, data centers and at the desk. Patch cords support network applications in main, horizontal and equipment distribution areas and are available in riser (OFNR), and low smoke zero halogen (LSZH) rated jacket materials to comply with local cabling ordinances. Pre-terminated fiber optic pigtails support fusion splice field termination applications. Fiber optic patch cords and pigtails are available in OM4, OM3, OM2, OM1, or OS1/ OS2 fiber types to meet the demands of Gigabit Ethernet, 10 Gigabit Ethernet and high speed Fiber Channel.